These "like-new" used units are trade-ins on our lot and they are ready for a new home! Check out these outstanding deals and call us for details and pricing at 866-969-0005 toll-free or 520-586-0505 or click on Email to send an email for information. USED LS G3038; 38 HP; 4WD; DIESEL; 66” FRONT LOADER BUCKET; LOW HOURS; SOLD AND SERVICED AT TRAILS WEST. USED LS XU 5055 TRACTOR, 4 CYL. 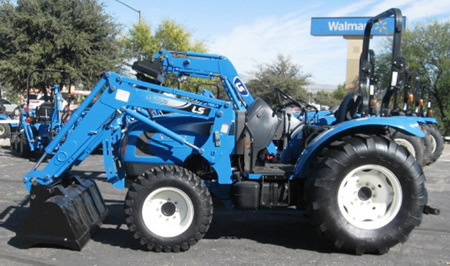 DIESEL, 4WD, 55HP, SHUTTLE SHIFT 16FX16R; WITH LS LL5103 FRONT LOADER WITH 72” QUICK-ATTACH BUCKET. 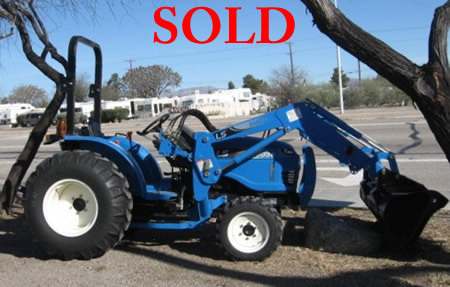 ONE OWNER-SOLD AND SERVICED AT TRAILS WEST TRACTOR . 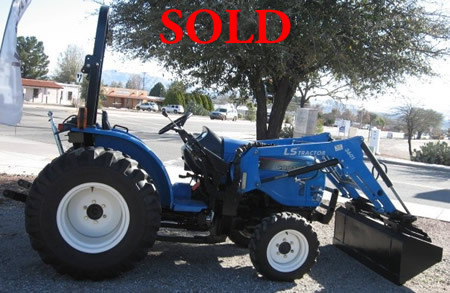 USED LS G3038 HST; HYDROSTATIC TRANSMISSION; 38HP; 4WD; DIESEL; BOUGHT FROM AND SERVICED BY TRAILS WEST TRACTOR. VERY GOOD CONDITION, MUST SEE TO APPRECIATE.